Finnick is currently out of the lesson program, on indefinite lease to one of our own students. You will see him in the barn though, he is Mr. Personality and you can’t miss those bright blue eyes and white face! Finnick O’Dair is a 2013 registered paint gelding. Another fabulous Craigslist find. Only about 14.2h, he is a little guy, but he has a big personality and is destined to be somebody! With his white face and 2 blue eyes, he is a charmer, and he knows it! 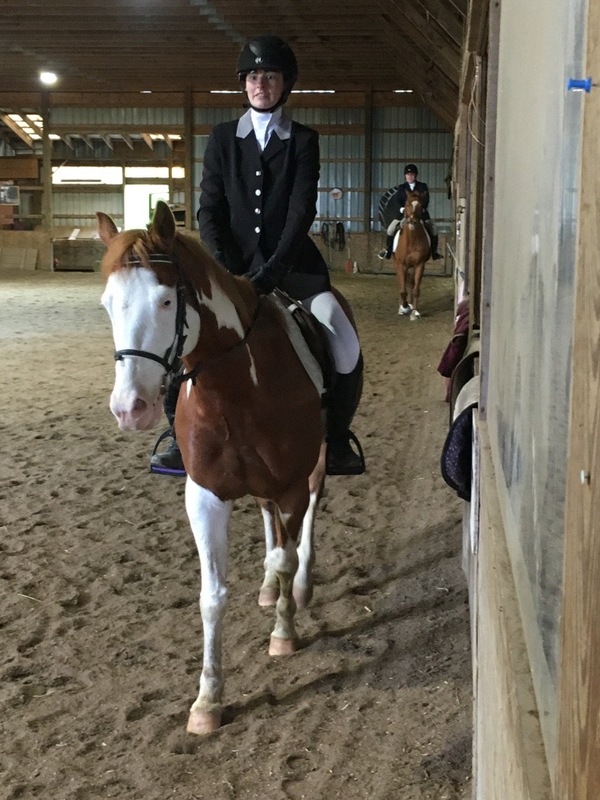 Finnick has been well started by Betsy, has been used regularly in our working student program and is eager to become a regular in lessons. If you are a petite and confident rider, you will love Finnick! Because of his youth, he can be sassy and playful, and is not for the inexperienced.